Razer today announced the launch of the Razer Chroma Hardware Development Kit (HDK), an integrated device within the Razer Chroma ecosystem to deliver even more rapid and accurate system color customization. The Razer Chroma HDK kit has up to 4 output channels that support RGB LED strips with a total of 64 diodes. In the box you will find only two RGB LED strips that have 16 LED’s each with Razer Chroma HDK module. The Extension System (separate purchase) comes with a pair of LED strips and extension cords. What is remarkable is that these RGB LED strips can be installed on both inside and outside the equipment, which helps to create a complete lighting ecosystem for those who love to be in a very colorful environment. 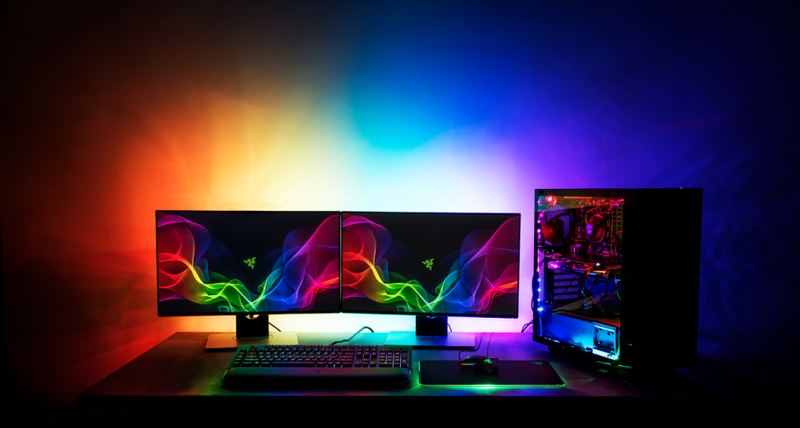 Obviously, all this lighting can be managed by the Razer Chroma software being able to choose between 16.8 million colors possible along with a variety of lighting effects. “Razer Chroma is the most advanced lighting configurator in the world, enjoyed by millions of gamers worldwide,” says Min-Liang Tan, Razer co-founder and CEO. The Razer Chroma Hardware Development Kit will go on sale during the third quarter at a price of $79.99, while the extension pack of two extra LED strips will be sold separately for $28.99.